Hello! I am Nick Schmidt a proud rising Senior majoring in Aerospace Engineering and on the Purdue Rowing Team. 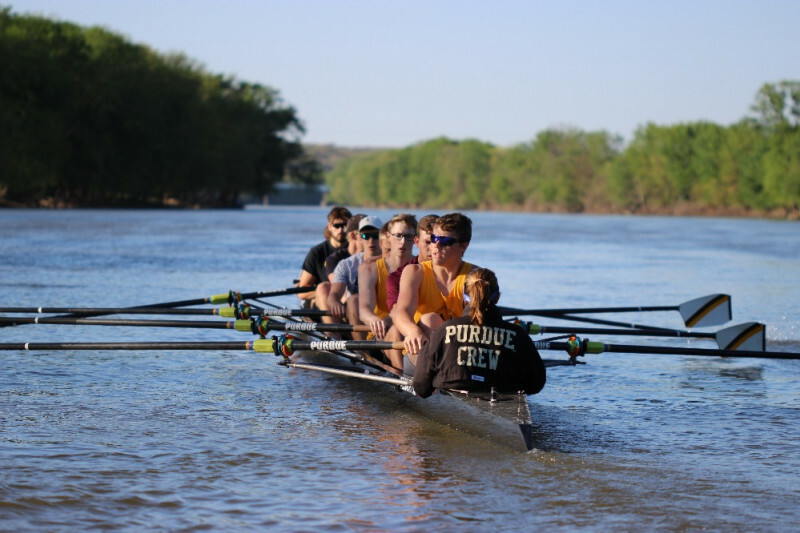 I had rowed a year in high school and chose to try out the club team at Purdue during my freshman year. I was able to connect with the deep commitment and challenges rowing demands in order to be successful. I have received an invitation to represent the United States at the World University Championships this summer located in Shanghai, China. It would be such an honor to represent my country, my university, and my hometown Cleveland, Ohio at an international competition of this scale. I have put forth an immense amount of effort during and outside of practice to come this close to reaching my dream. The donations received in this campaign will go towards training camp costs, travel fees, and other necessities during this enduring process. Thank you for reading my story, and any donation amount is greatly appreciated! Training footage of the 2018 Purdue ACRA V8+. Looking forward to finishing the season strong down on Lake Lanier in Georgia. Boiler Up! Hey Everyone! The error with the account was fixed and is now be able to accept donations. Remember to please share this effort! Thank you to everyone who has followed and supported my effort to row at the international level thus far! I have been invited to represent the USA at the World University Championships taking place this August in Shanghai, China. This Campaign is now an effort to reduce the costs of training this Summer near the University of Michigan and the trip to Shanghai, which the athletes are responsible for covering. Please share this campaign page and donate to help me reach my goal! Feel free to check out the steps of my journey so far on my Instagram profile!